NG Media's vision is to empower Yarnangu to create and share their own stories through multi media, across the Nation. 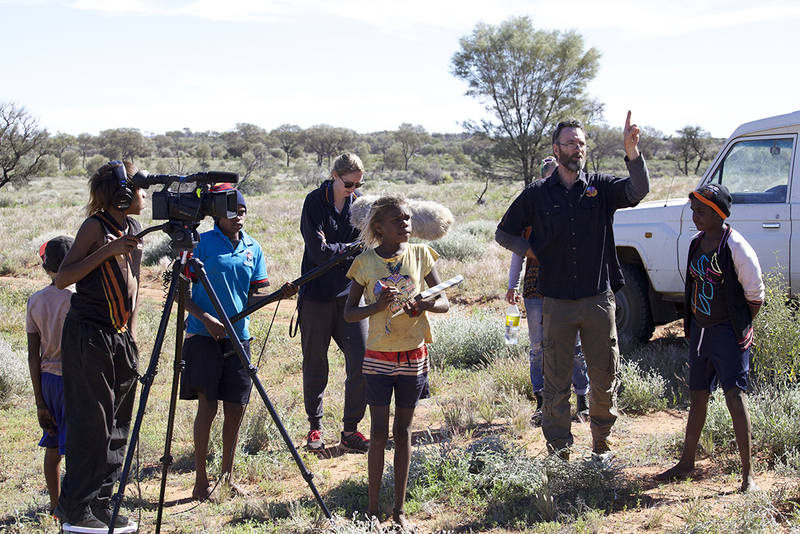 NG Media was again out and working with students from the Ngaanyatjarra School. 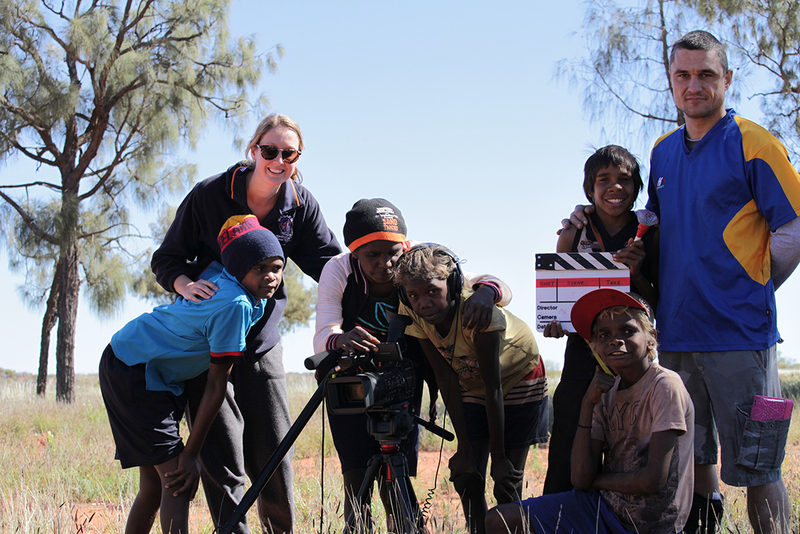 This time the secondary students at Wanarn were the ones coming up with the story and then working together to create their film, learning how to use the camera and sound equipment along the way. Well done to Bruno, Kyvia, Tenelle, Rachel, Michelle and of course, Miss Tayla. Special thanks to Junior Bates who stepped into an adult acting role and helped the students to understand what they needed to do, and to Tinka and Luke who were fantastic in support (all photos courtesy of them). 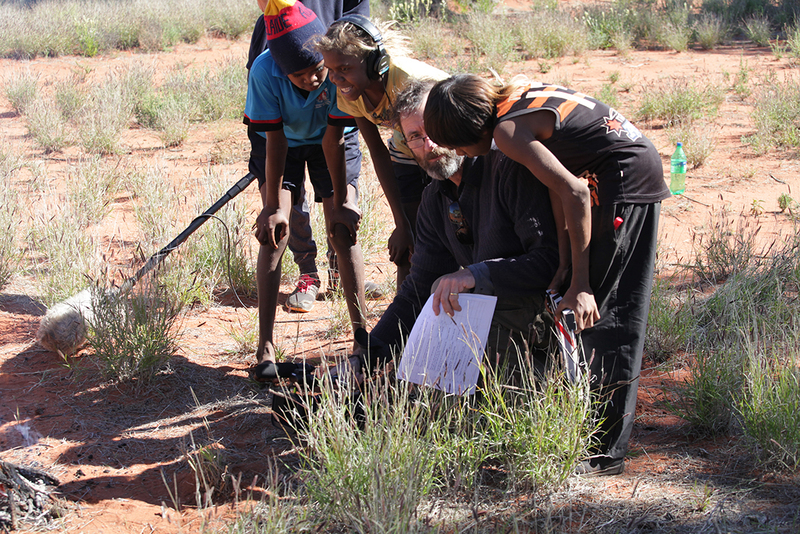 Look out soon for the finished film on the NG Media website video player. 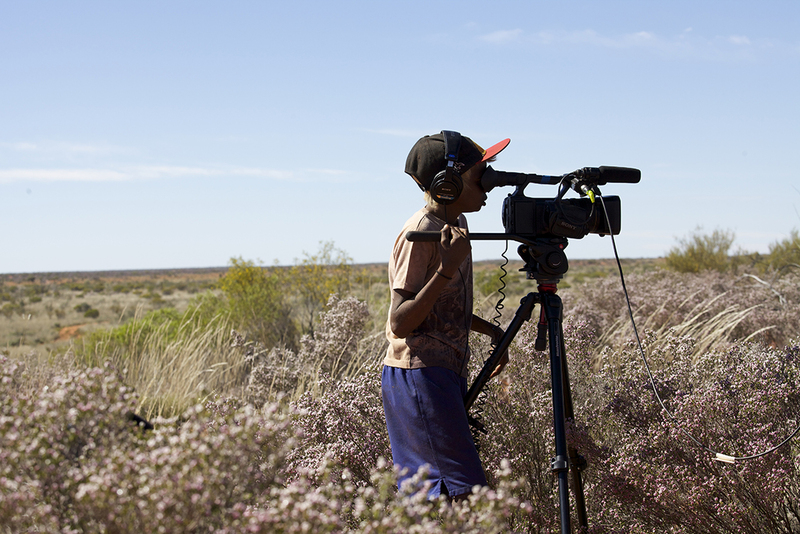 NG Media has received funding from the Indigenous Advancement Strategy of the Department of Prime Minister and Cabinet to conduct a training project in the local Ngaanyatjarra schools. The project aims to deliver training in both radio and film and has a number of outcomes - keeping kids engaged with school activities and wanting to come, giving them opportuniites to have a go at producing media that tells their stories and hopefully uncovering and nurturing the next generation of film producers and radio announcers - some of whom could work for NG Media in the future.